Monday Accident & Lessons Learned: Root Cause Analysis Failure at Blue Bell Ice Cream? 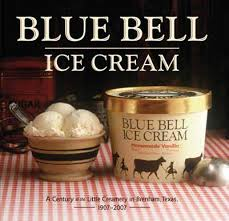 I read an article in the Houston Chronicle about failed corrective actions at Blue Bell® Ice Cream. Sometimes people jump tp conclusions and implement inadequate corrective actions because they don’t address the root causes of the problem. Its hard to tell without more information, but better root cause analysis sure couldn’t have hurt.